Ambiente Blog • You can’t smell the coffee on the internet. Happy new offline? We wanted to know where our consumer journey was headed, so we took a look around the internet and city centres. The battle between online and offline is ongoing. Take, for example, ‘Amazon Go’ in Seattle, the first offline supermarket at which payment is solely by app. Customers check in with a code when they enter and can then simply walk out of the store with their purchases. A number of clear trends have come to our attention. Whose advice do you trust when it comes to curated shopping? It’s a great feeling when you find a new favourite thing. The question is, does it suit your own style? There may be a shortcut to answering this question, so the fashion industry is currently testing smart mirrors that generate photos and videos. While they’re still in the shop, customers can post to social media and garner likes for their look. But if friends are all too busy to comment right then and there, there are also virtual experts who can do it for you. They can even put together unique outfits for you online, like on the Modomoto and Outfittery websites. 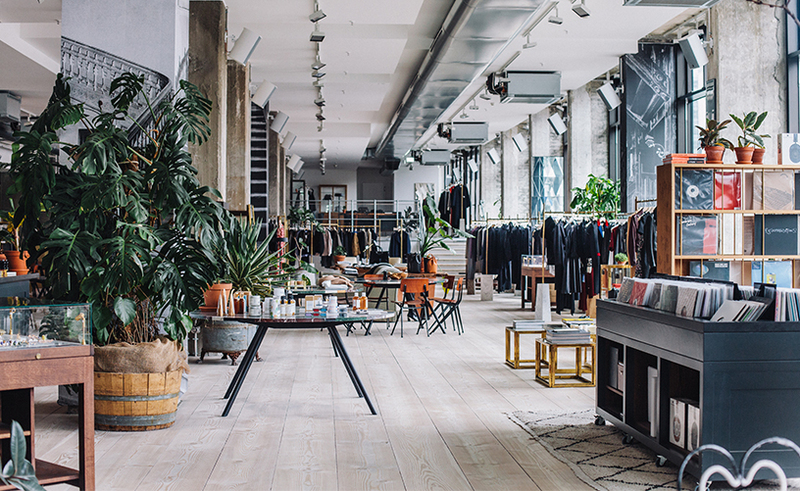 One Berlin start-up now offers something similar for interiors. If you don’t have time to leaf through furniture catalogues or study an item’s footprint, interior designers at „99 chairs“ will provide professional suggestions online for your interiors. All that, without ever visiting your house – and at a reasonable price. We think it’s an idea with great potential. Online or offline? Why not both? Consumers love the process of gathering inspiration to shape their lifestyle. It doesn’t matter whether this comes from a concept store, information on a website, or a tweet about new colourways. What matters is that the consumer feels understood. It’s irrelevant whether this comes from chatting in a shop or over the internet. Three quarters of consumers want to continue shopping in bricks-and-mortar stores in future. And over half the major online retailers also operate such stores IRL (blogspeak: ‘in real life’). The digital world has actually increased demand for overall experiences addressing all five senses. That’s where bricks and mortar can really win: with go-to locations, e.g. 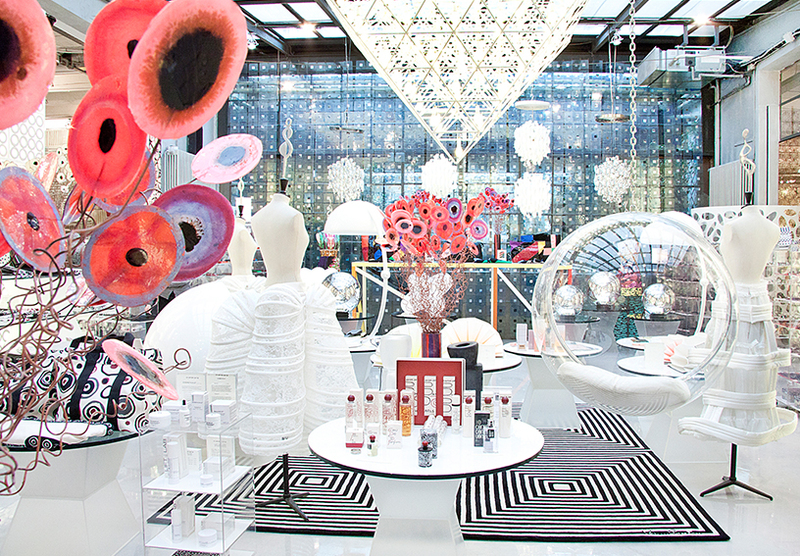 pop-up stores, interiors that demand to be Instagrammed or tangible additional services. 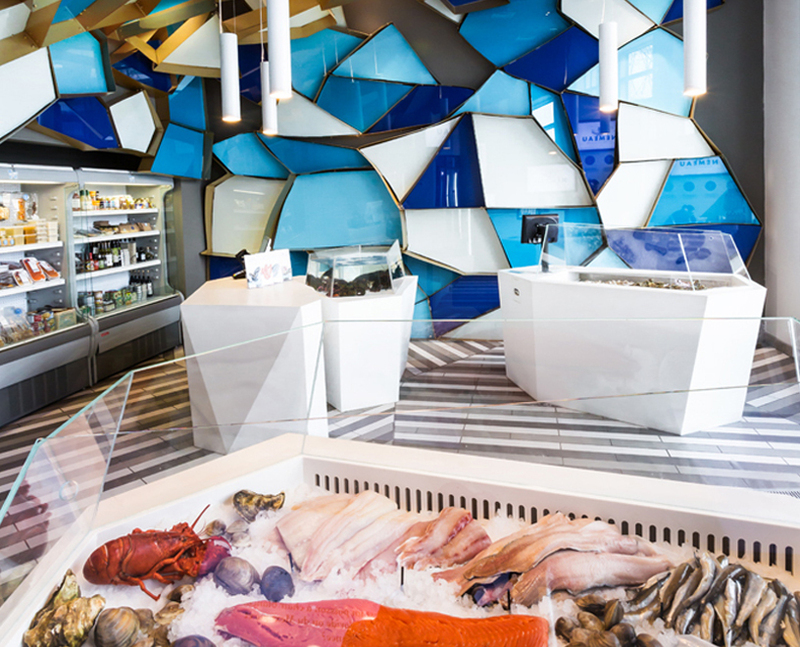 Intelligently designed shops are increasingly hybrid places that bring together different aspects in the same location: the aesthetic surprise and the everyday, shopping and attending a workshop, inspiration and moments of wellbeing. Although products are available practically all the time online, encounters with experts are thinner on the ground. However, it is possible to experience a wine seminar with a sommelier at a first-class restaurant – or perhaps attend a workshop with a chef from an online baking show, demonstrating how that five-layer cake really works. The sharing economy: are you a user or still an owner? Why spend good money on something you only need occasionally? That’s the now-familiar principle behind car sharing und co-working. So why not extend the sharing economy to washing machines and home trainers? Otto-Versand is launching this idea. Customers at ‘Ottonow’ can use major household appliances and sports equipment on a monthly basis, and drop them off again when they’re no longer needed. We wonder what’s next, rental fondue sets for the weekend or perhaps a shared lawnmower? Natural resources are finite and need protecting – a concept that received backing in 2016 from FC Bayern Munich. 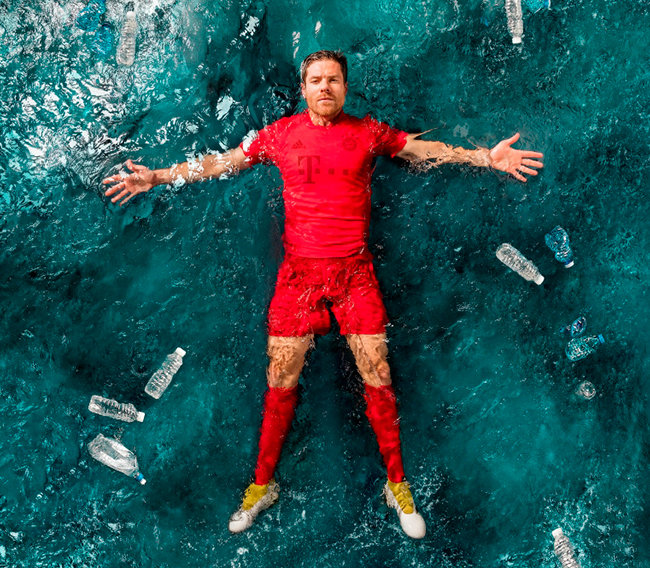 At their home game against Hoffenheim, players wore jerseys made of recycled marine plastic waste. Besides the PR boost, this campaign shows just how mainstream sustainability has become. 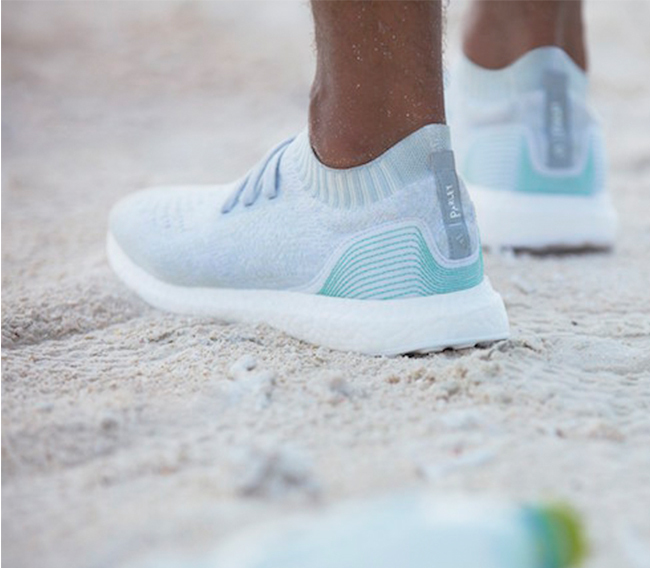 Adidas has taken this one step further with a shoe also made from waste from the oceans. After a limited edition run, the ‘Ultraboost Uncaged with Parley Ocean Plastic’ has now been in mass production since November 2016. This is consumption that cleans up the sea, and is also absolutely fabulous. Will 2017 bring more of the same? More and more, people are looking for items that have been produced with care – across all market segments. And as the the millennials reach adulthood, they are playing an increasing role here. This target market has a lot of consumer experience behind it and now wants products that last. Consumers expect a lot from 2017: services that make our everyday lives more comfortable and beautiful, options and choices at all stages of the purchasing process, and a seamless transition between online and offline shopping. Simple? Well, when an idea or product is relevant and credible, people are prepared to pay accordingly.